The notice of application for promotion prior to retirement is a provision in the Unified Conditions of Service for Senior Members of the Public Universities in Ghana BUT NOT a provision in UEW Statutes. As a provision in Unified Conditions of Service, it is more of a welfare package for Senior Members in public universities than rules of promotion in the UEW Statutes as being alleged. Provisions in the Conditions of Service cannot or shall not be varied to the disadvantage of a staff or an employee. At best, provisions in Conditions of Service can be varied to the advantage or benefit of a staff or an employee. It is a common knowledge and a rule of thumb that if an employer cannot make a staff or employee better off, that employer should not make the staff or employee worse off. A barrier/ban on progression of employee non-PhD holders of Associate Professorial rank to a full Professorial status. The revised period of notice of application for promotion prior to retirement from at least six months to the current period of at least 12 months which is in total variance with the provisions in the Unified Conditions of Service for Senior Members of the Public Universities in Ghana. The six months' notice of application for promotion prior to retirement in the Unified Conditions of Service for Senior Members in the Public Universities in Ghana sits very well with the six months' notice of retirement or resignation of Senior Members in public universities or in lieu of the required six months' notice of resignation, payment of six months' salary to the either side. It is instructive to note that even though the revised notice of application for promotion prior to retirement reviewed it upwards, the said revision never saw any review to the six months' notice of retirement, termination or resignation as provided for in the Unified Conditions of Service for Senior Members in the Public Universities in Ghana. The Governing Council at its meeting held on 16th August, 2017 and on 28th December, 2017 extensively discussed the revised provision in the Criteria for Promotion for Senior Members in UEW which provides for 12 months' notice of application for promotion before one's retirement as against the provision in the Unified Conditions of Service for Senior Members in the Public Universities which provides for six months' notice of application for promotion before one's retirement. 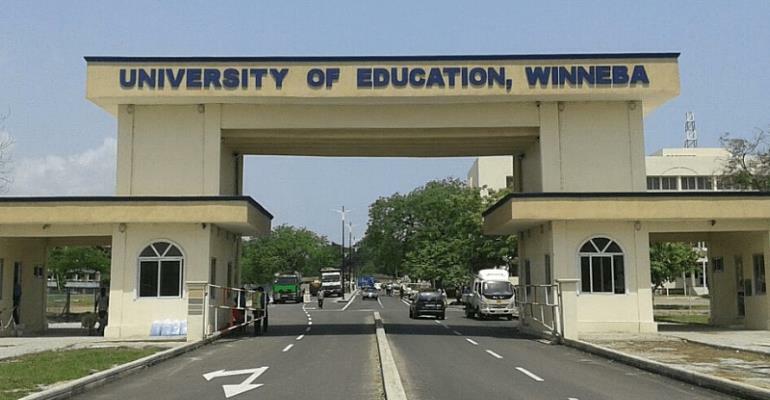 The Governing Council therefore found that the revised position of 12 months' notice of application for promotion before one's retirement instead of the original six months' notice of application for promotion before retirement is more disadvantageous than beneficial to the Senior Members in UEW. The Governing Council, therefore, reversed the revised provision from 12 months to six months' notice of application for promotion before one's retirement. The Governing Council, accordingly, directed that Senior Members who were denied of application for promotion because they did not meet the ' apply for promotion at least 12 months before retirement' policy but whose application fell within the Unified Conditions of Service for Senior Members in the Public Universities which provides for six months' notice of application for promotion before one's retirement, should be informed and allowed to reapply. Any such re-application for promotion based on the six months' notice and for which same was denied based on the 12 months' notice should be supported with evidence of having applied for promotion and same having been denied. The decision of the Governing Council made effective date of the application to be the date of the earlier application which was refused as it is the practice and convention in the University. The records available indicate that Prof. E. N. Abakah's earlier application for promotion to the status of Full Professor before his retirement in September, 2014 was dated December, 2013. By the date of his earlier application, Prof. Abakah had 10 months before his retirement in September, 2014. It, therefore, meant that at the time of his notice of application for promotion before his retirement, Prof. Abakah's application was within the six months' notice as provided for in the Unified Conditions of Service for Senior Members in the Public Universities. On account of the above exposition, it is clear that the promotion of Prof. Abakah to the status of a Full Professor was within the Conditions of Service for Senior Members in Public Universities and accordingly deals with the mischief circulating on social media. The Management of this University wishes to kindly caution the general public and, especially, the media to be wary of persons who, through misinformation and mischief, are working round the clock to bring the name of the University into disrepute.